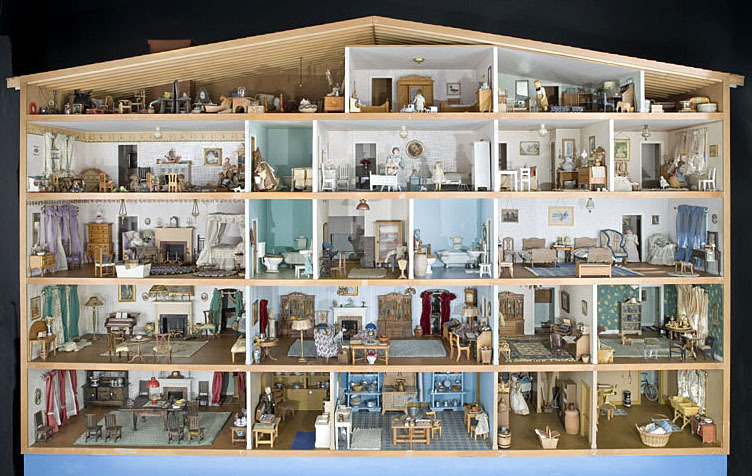 The scale of this 23-room house is one inch to one foot, accommodating the miniatures that Faith Bradford (1880–1970) played with as a girl and collected as an adult. 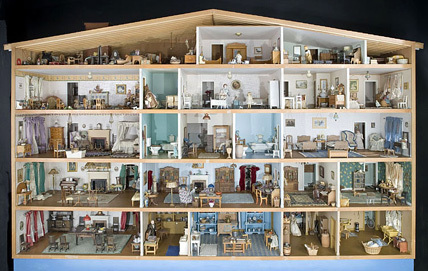 She imagined the dwelling as the turn-of-the century household of Mr. and Mrs. Peter Doll, their ten children, two visiting grandparents, five servants, and twenty pets. Dollhouse shown at Gadsby’s Tavern, with its prize winning blue ribbon attached at roof peak, 1932. 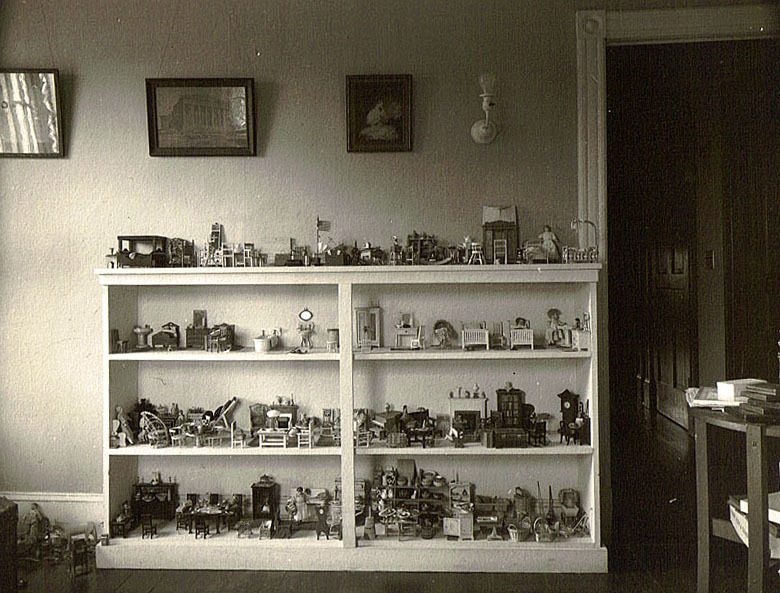 Bradford had access to photographers throughout her adult life who documented the development of her models. In 1932, Bradford created a shelf-like model to display her “house” at a charity toy fair in Alexandria, Virginia. 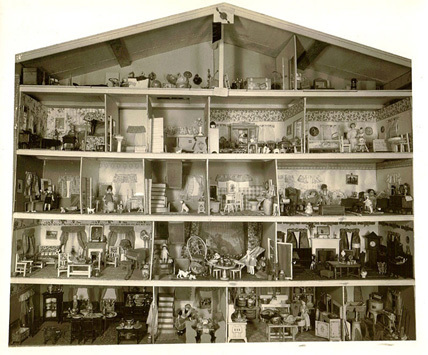 The same figures, fixtures, and furnishings inhabit the model (above) that Bradford created and presented as a gift to the U.S. National Museum in 1951.